As we enter the winter months, many expect the real estate market to begin to slow down. However, this winter there are many reasons that both buyers and sellers should consider moving forward with their real estate goals instead of waiting until the spring. Waiting until the spring will probably mean increases in the two elements that determine the cost of purchasing a home: home prices and mortgage rates. A seller will get the best price when demand is high and inventory is low. Demand will remain strong throughout this winter (see above) while inventory historically shrinks this time of year. To dive deeper into the reasons both buyers and sellers should act now instead of waiting, join us later today for a free webinar where we'll give you everything you need to dominate the next 60 days and set yourself up for a great 2014. Secure your seat for this free webinar! The Prescott Office of Tourism has room for one more co-exhibitor at the AAA/Arizona Highways Travel Show, November 16-17 at the Phoenix Convention Center. The cost is only $300.00 and the Travel Show is very well attended by Phoenix-area residents and is heavily marketed to Arizona AAA members. Please give me a call if you need additional information. Forbes: Buy Now or Pay More Later? Even though no one at KCM actively lists or sells real estate, some of our readers believe that there is an inherent basis toward the real estate community in our writing. For that reason, we want to quote a third party source today. Forbes, in their online edition last week, spoke to the importance of buying a home now rather than waiting. "With mortgage rates creeping up toward 5% as 2013 draws to a close, potential home buyers have some decisions to make — and soon. The danger for potential homebuyers isn't that mortgage rates are nearing 5.00%; the real threat is that rates could go higher, to 5.50% or even 6.00% in 2014." 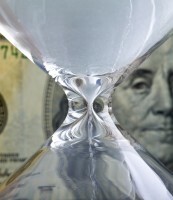 The article spells out the financials consequences a buyer would face by waiting. ($67,746 on a $300,000 mortgage). They gone on to identify four things a buyer should take into consideration before delaying a decision to purchase. 1. Rates will likely rise — and soon with 5% interest rates right around the corner. 2. The Federal Reserve will stop "tapering" causing rates to return to historically normal levels (6-7%). 4. 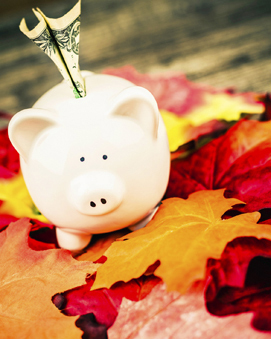 The autumn buying season is underrated "as you can take advantage of year-end tax breaks and the fall weather makes it an ideal time to move". The financial advice Forbes gave to their readers was rather simple. Buy now or pay more later!! Preparing for winter on the frontier meant making sure that you had enough of everything was important before winter set in. Once the winter rain and snow started, it could be weeks before roads were passable to go to town, or even perform meaningful work about the home. Join Museum staff and volunteers to learn how pioneers prepared for the cold winter months. This program is included with your admission to the Museum. For more information, please visit www.sharlot.org. Featuring animal encounters, interpretive games, special animal feedings, shows and well as interpretive games and crafts provided by ZooTeens. Visit www.heritageparkzoo.org for additional information. Veterans Day: A celebration to honor America's veterans for their patriotism, love of country, and willingness to serve and sacrifice for the common good. Join us to thank and honor all who served honorably in the military - in wartime or peacetime. The 2013 Veterans Day Parade will take place in downtown Prescott and circle the downtown area. For additional information, please call Becky Karcie at the City of Prescott (928) 777-1349. The U.S. Forest Service will waive day-use fees associated with many recreation sites or amenities on national forest sites. The Prescott National Forest will waive fees at Lynx Lake Recreation Area, Granite Basin,Thumb Butte, Alto Pit OHV,Hayfield Draw Ohv and Mingus Lake. Please visit www.heritageparkzoo.org for more information. Starring Robert Shaw and 12-piece Lonely Street Band with a gospel quartet performing such hits as "Peace In The Valley," "Amazing Grace," and, of course, "How Great Thou Art," you're sure to find inspiration and lots of great memories in this wonderful music. Come and see for yourself why the Arizona Daily Star says "Shaw's firm grasp of Presley's powerful vocals are keeping the King's spiritual legacy alive." Please visit www.ycpac.com for more information and tickets. November 4 at 7:30 p.m. The comparison is inevitable. How could it be otherwise? Tito Puente Jr. carries his father with him - imprinted on his physical being and locked in his soul. It's in his looks, his joy, and his music. Tito, Jr. is on a passionate mission. The younger Puente is determined to nurture the musical legacy left by his father. He refuses to let his father become a distant memory. "He was just too vibrant, too exciting. There was magic in the music my father made. It made people happy all over the world." Experience that legacy for yourself. Pre-Show Dinner available for this performance. Go to www.ycpac.com to make reservations. A singer, composer and actor, Lyle Lovett has broadened the definition of American music in a career that spans 14 albums. Coupled with his gift for storytelling, the Texas-based musician fuses elements of country, swing, jazz, folk, gospel and blues in a convention-defying manner that breaks down barriers. Lovett has appeared in 13 feature films, and on stage and television. Among his many accolades, besides the four Grammy Awards, he was given the Americana Music Association's inaugural Trailblazer Award, and was recently named the Texas State Musician. John Hiatt earned a Grammy nomination for his album Crossing Muddy Waters, and B.B. King and Eric Clapton shared a Grammy for their album Riding With The King, the title track from which was a Hiatt composition. In 2007, John Hiatt was honored with his own star on Nashville's Walk of Fame and his legacy was even further cemented with a pair of accolades in the fall of 2008: the Americana Music Association's Lifetime Achievement Award for Songwriting in September, and his October induction into the Nashville Songwriters Hall of Fame. Pre-Show Dinner available for this performance. Go to www.ycpac.comto make reservations. Why Do We Buy Real Estate? Why do you own your home? Why do you want to buy a home? According to Fannie Mae the top five reasons people buy a home or aspire to buy a home are: To have a better place to raise their children; A place where their family can feel safe; To have more space; Freedom to renovate to their own taste; and Owning is a better investment. Does this hold true for you? How about for a friend or family member you are close to? I know that all five reasons were a factor in my personal decision to own a home rather than rent. While I do think that sometimes for some people it is better to rent than own (or possibly it is the only option), the vast majority of the time there is no question it is better to own than rent. The reasons we buy a home have stayed constant throughout the recovery of our real estate market and are strengthening all the while. People have to live somewhere and at least in the United States, people want to own where they live. It has a lot to do with freedom. We are a free nation with citizens who strive for financial freedom, enjoy their religious freedom, freedom to say what we want, etc. Something about owning your home gives you freedom. Every day I work with people who are buying a home and they all have their own unique set of circumstances. Some are newly married and are ready to start their life together. Some need more space. Some have the means to buy a home in a special location to enjoy the beauty of the oceans or mountains. Either way the drive to own is strong. Let's face it; we have been through tough economic times in the past several years. Many of us have been caught in the midst of short sales, foreclosures and even bankruptcies. The first question I'm asked by someone who has been through a tough time is "how long do I have to wait before I can buy another house?" In 1931 the phrase "The American Dream" was defined by James Truslow Adams, historian and author, in his book Epic of America- "…life should be better and richer and fuller for everyone, with opportunity for each according to ability or achievement". 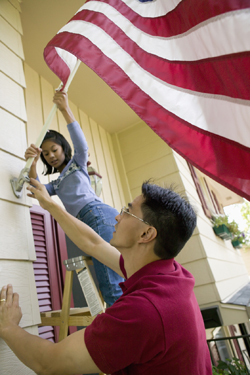 Homeownership is a very strong part of the American Dream. We have all read books, seen movies and heard stories about immigrants who have come to America in pursuit of a better life in a society that allowed them to better themselves based on their own ability and achievement. Most of these people were coming to America from a society that was without opportunity because the class structure did not allow for significant achievement…you pretty much stayed in the class in which you were born. In America that is not the case, every day we have the freedom to make better choices, work smarter, work harder, take risks, etc. all in pursuit getting to a better place than we came from. Owning a home is one of the best ways to better yourself as judged in financial AND non- financial terms. For example, according to the Federal Reserve (2012), on average, Homeowners have a total net worth over thirty times greater than those who rent their home. For most of us the equity in our home is the biggest asset on our balance sheet. Some of the non-financial related ways we are better off owning a home versus renting include having more room for our growing family by way of buying a bigger house or adding on to our current house… if you rent, your landlord is not likely to allow you to knock down walls and add on to your apartment. Another way we are better is by having the ability to choose where we want to live. Location is the single most important variable that affects the value of real estate, there is good reason for this…if the location is unsafe, polluted, noisy, high-traffic, prone to flooding, etc. then it less valuable than a location which is safe, quiet, convenient, dry, etc. Achieving the American Dream is a noble pursuit. I would argue that owning your own home is one of the very best ways to live that Dream. It isn't the only way but it is so important psychologically and financially that it helped make the USA the wonderfully free and prosperous nation it is and will be. Why do you own your home? Why do you want to buy a home? Go out and achieve the American Dream! Interest rates fell approximately a half a point in the weeks following Ben Bernanke's announcement in late September that the Fed would continue their pace of bond purchases. This purchasing of bonds has acted as a stimulus package for the housing industry as it has kept mortgage interest rates at historic lows. However, rates over the last few weeks are again inching upward. INFO THAT HITS US WHERE WE LIVE... The early 20th century author of nightmarish tales certainly had the best advice for getting through the scares coming out of Washington last week. Much of the housing "news" consisted of fearful warnings about what might happen to the real estate recovery if the debt limit weren't raised or the partial government shutdown continued. These nightmares proved not worth listening to, as an agreement came, although we had to wait until the very last minute. We'll still have to wait for the reports on September Housing Starts and Building Permits, delayed by the government shutdown. Real housing news, when it appeared, wasn't so bad. The day things went back to normal, Fannie Mae's monthly outlook said the shutdown and debt ceiling debates seem to have had a "minimal effect" on housing. They pointed out rising home prices may actually help cushion any negative economic impacts by raising household net worth. People are clearly still buying, as Ellie Mae reported that purchase mortgages made up 58% of the closed loans in September. Here's a great link to pass on to prospects: To view, click here. BUSINESS TIP OF THE WEEK... To make the day more productive, prioritize your tasks. Ask yourself first thing: "What single accomplishment will let me sleep better tonight?" THE CAN IS KICKED... A half hour into the day the Treasury said it would hit its borrowing limit, the President signed a bill approved by both houses of Congress that raises the debt ceiling through February 7 and funds the government through January 15. Nothing was resolved beyond those dates, so this is what's known in economic parlance as "kicking the can down the road." Nonetheless, stocks ended the week solidly ahead, with the S&P 500 posting its best weekly gain since mid-July. Were investors celebrating the reopening of some non-essential government functions and the fact that Treasury wouldn't default on the debt? Not exactly. Some observers felt the stock market advance came on the assumption that the Fed would continue its $85 billion a month of bond purchases to keep interest rates low and stimulate the economy. That's because the future remains uncertain: the budget standoff wasn't resolved, it was merely postponed. In any case, the Fed would find it difficult to start tapering bond buying at this month's meeting, since many of the reports it uses to monitor the economy didn't come out during the shutdown. We did have weekly Initial Unemployment Claims dipping to 358,000. The week ended with the Dow up 1.1%, to 15400; the S&P 500 up 2.4%, to 1745; and the Nasdaq up 3.2%, to 3914. Once the possibility of default evaporated, investors flocked to the safe haven of bonds, made even more attractive by the political shenanigans. The FNMA 3.5% bond we watch ended the week up .97, at $102.00. For the week ending October 17, Freddie Mac's Primary Mortgage Market Survey reported national average mortgage rates edging higher as we approached the debt limit deadline. Remember, mortgage rates can be extremely volatile, so check with your mortgage professional for up to the minute information. DID YOU KNOW?... The Wall Street Journal reports that with today's home prices and mortgage rates, homes are more affordable now than at any time between 1989 and late 2008. EXISTING HOMES SALES SLOW, NEW HOMES SALES GROW, SEPTEMBER ADDS JOBS... Analysts predict Existing Home Sales will slow a bit for September, but still stay well above the 5 million unit annual rate. The New Home Sales report for that month may be delayed but is forecast up a tad. The September Employment Report, delayed since October 4, is expected on Tuesday to show jobs inching up, though still below 200,000 added payrolls for the month. This should not be enough to push the Unemployment Rate below 7.3%. Forecasting Federal Reserve policy changes in coming months... In the absence of long term budget and debt ceiling solutions, economists now expect the Fed to keep the Funds Rate at its super low level through next year. Note: In the lower chart, a 1% probability of change is a 99% certainty the rate will stay the same. 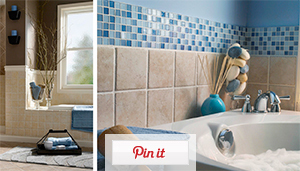 Bath Ideas and Inspiration View in your browser. Our new Bath Planning Guide has everything you need to know—and we mean everything! 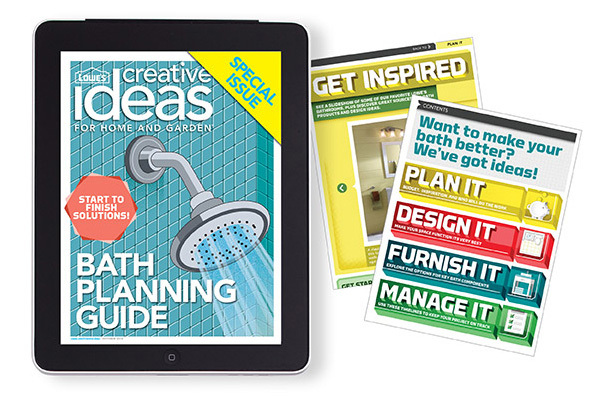 It's free in the Lowe's Creative Ideas Magazine app for the iPad. 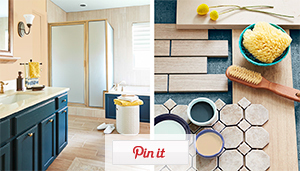 Smart buys and stylish splurges add up to a major bathroom transformation on a modest budget. Pullout drawers, built-in niches, and well-placed hooks create a bathroom that lives large despite small square footage. 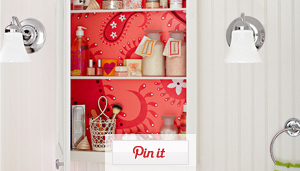 Turn the inside of a medicine cabinet into a work of art with paint and our free downloadable stencils. Whether you're using budget-friendly ceramic tiles or elegant designer tiles, these design ideas will take your bath from drab to fab. 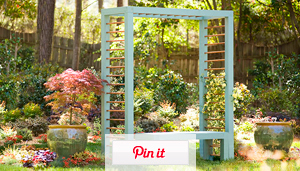 Take in nature's beauty with this arbor-and-bench combo. 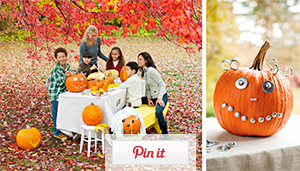 Skip the basic jack-o'-lanterns! Use these downloadable patterns to create pumpkins that add fall flair to your front entry. 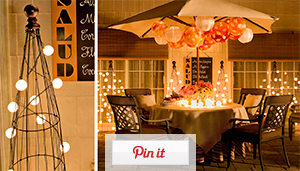 See how an ordinary tomato cage and strings of mini lights combine to make a brilliant work of art. Enhance and enjoy your lawn and garden spaces with a simple yet sophisticated bench. 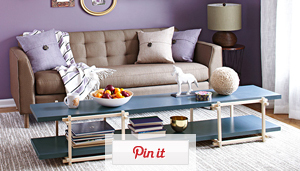 A Coffee Table Made From What? Made from bifold doors and square dowels, this easy-to-build table can be ready in just a few hours. 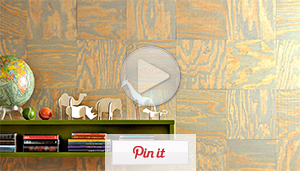 Make this accent wall in a weekend using the natural simplicity of stained plywood squares. 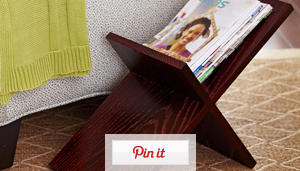 For simple magazine storage that's easy to make, build this solid-wood rack from a single board. 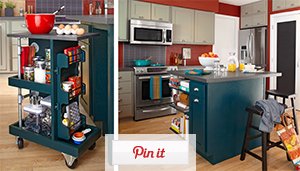 Designed to fit under a kitchen island, this do-it-yourself cart offers easy mobility and ample storage for kitchen supplies. 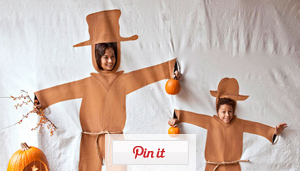 Create a photo backdrop that will make all your little ghouls and goblins strike a pose. 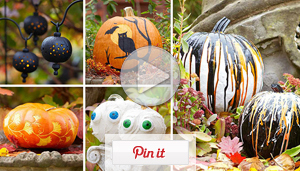 Create your own pumpkin patch with great ideas for carving, scraping, and painting any pumpkin. 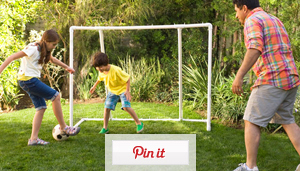 Create endless hours of outdoor fun with this easy-to-make backyard soccer goal constructed with PVC pipe. 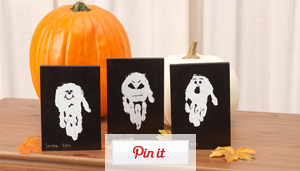 Have the kids give you a hand with a project that's so fun, it's scary! Ornamental grasses really shine in autumn. 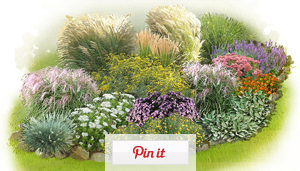 See how to pair them with other plants for a display that lasts nearly all year long. Spring and summer have nothing on autumn when it comes to color. 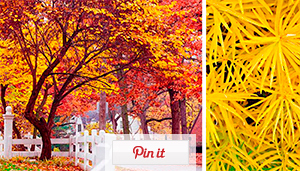 Check out these examples of seasonal splendor. 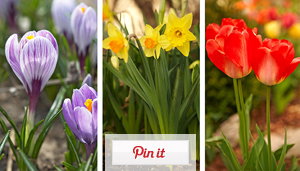 Make a splash in next year's garden by planting spring-blooming bulbs this year. Fall is the best time! 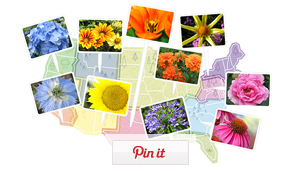 Get first-hand gardening expertise tailored to your region of the country. Check out any of our 10 regional gardening contributors. 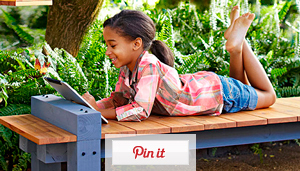 Join the Lowe's online community and share your experiences. Sign up for our print publication or change your newsletter settings. 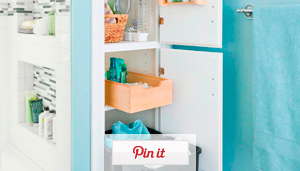 © 2013 by Lowe's®. All rights reserved. Lowe's and the gable design are registered trademarks of LF, LLC.